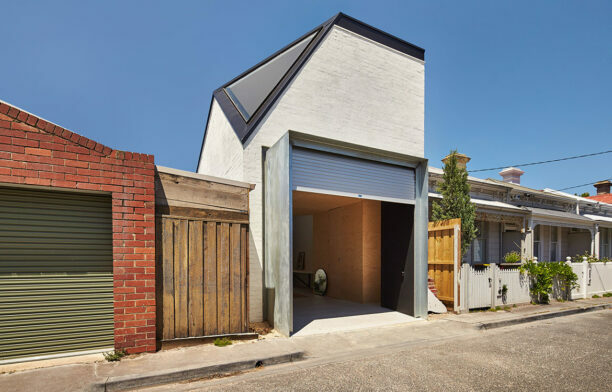 What Makes A Design Prodigy In..
Melbourne’s suburban rear laneways have long been underutilised, but homeowners are increasingly building studios and renovating garages at the back of their properties to create flexible and functional spaces. 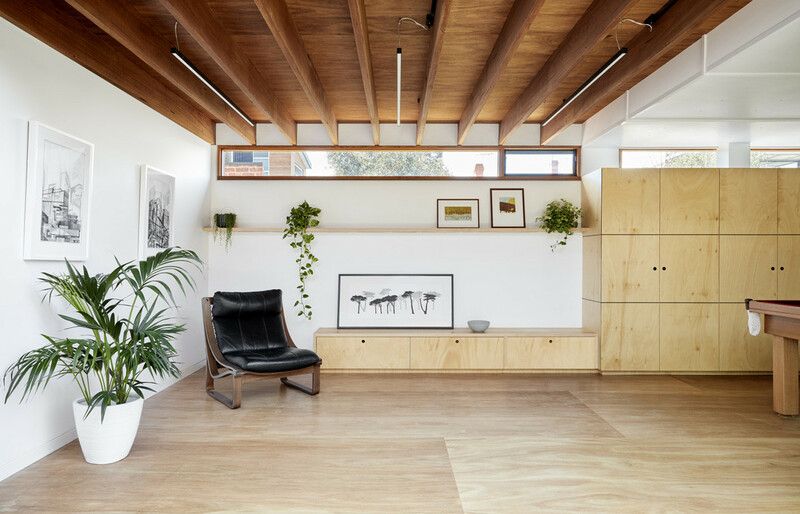 Studio House in Northcote is one such adaptable space for the different needs of a family with three teenage children. 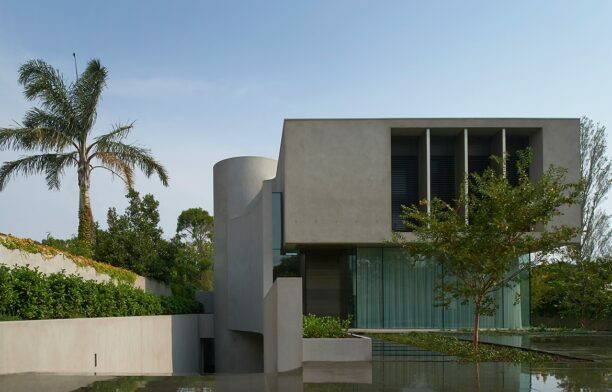 Designed by Zen Architects, it mediates the utilitarian nature and robust character of the laneway, while offering a building that connects with and opens to the garden in front. 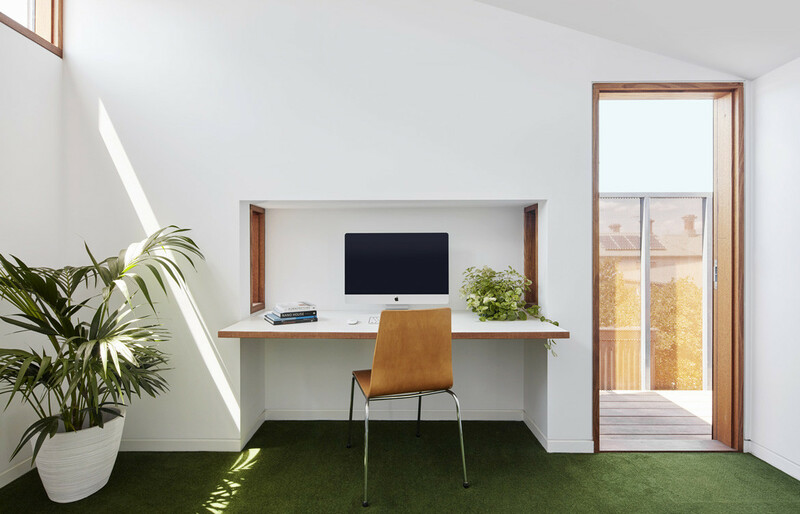 Studio House is a low-impact building with adaptable spaces that can accommodate many functions, despite its constrained footprint. Downstairs is a kitchenette and open area used for entertaining, socialising, dining, games room or relaxing, and joinery along the wall provides convenient storage. Upstairs, connected by an external stair, is more private with one bedroom, a bedroom/study and a bathroom. 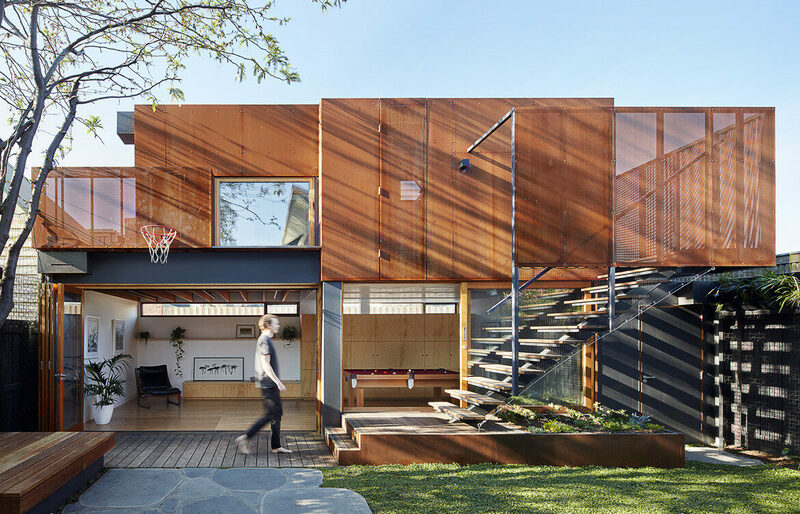 “The external stairs allows a more compact footprint while giving the family two floors that can be used independently of one another,” says Luke Rhodes of Zen Architects. 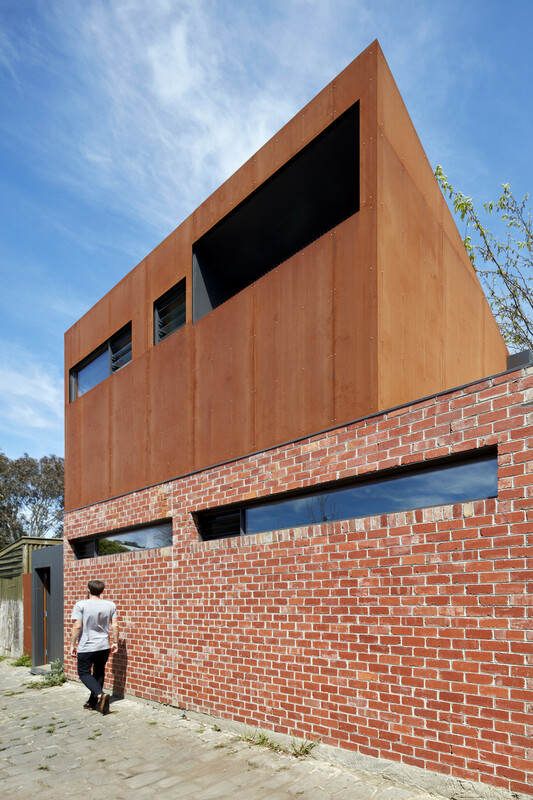 Backing on to the rear laneway, the studio has a tough and durable character with recycled red brick on the lower level and Corten cladding on the upper storey. From the front, as viewed from the main residence on the property, the lower level has sliding and stacking glass doors, allowing interior and exterior spaces to flow into one another. “It appears like a fortress or tank from the laneway yet is open and light from the private courtyard and garden,” Luke explains. 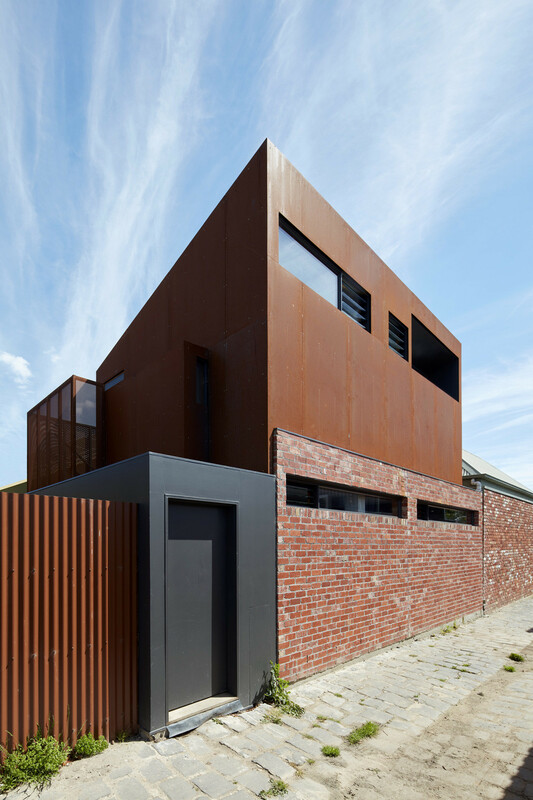 While upstairs appears more solid, the perforated Corten steel enclosing the deck offers a sense of transparency and lightness. 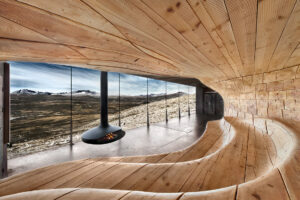 It has been configured to capture views and sunlight without overlooking the neighbour’s property. 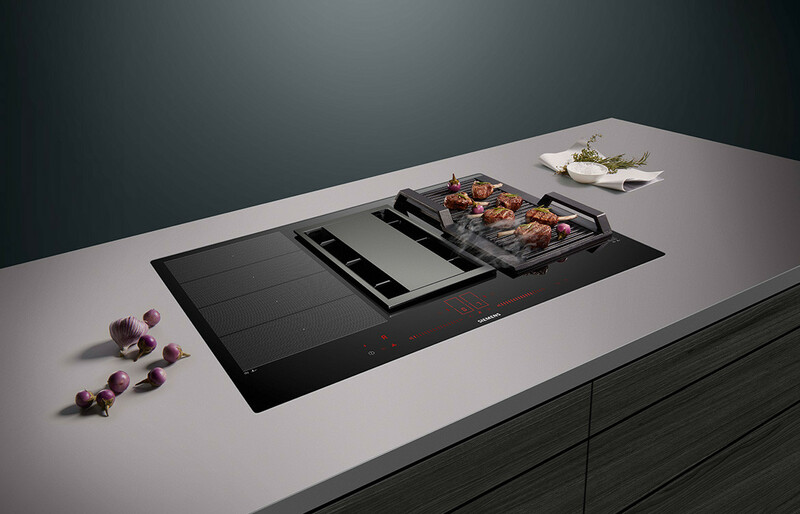 As Luke describes, “the materials do all the talking,” and inside, materials are as tough, durable and low-maintenance as the exterior palette. 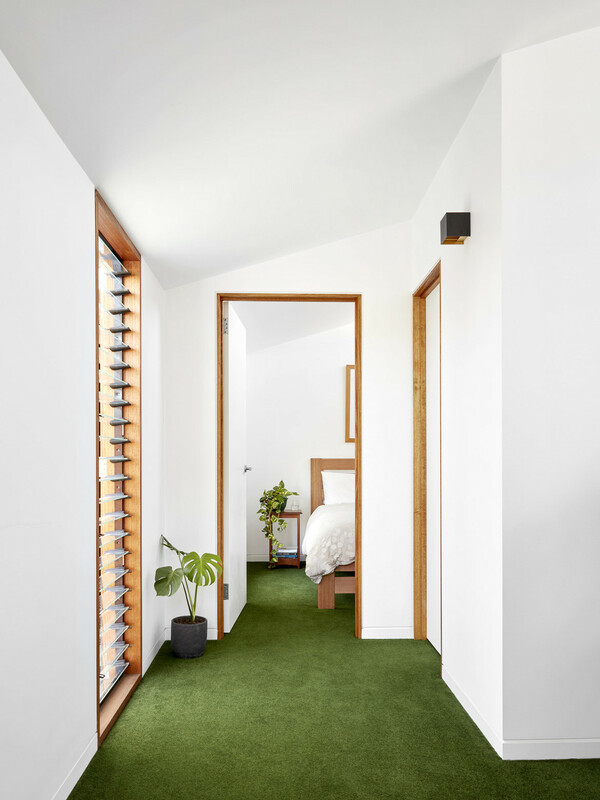 This includes plywood joinery, timber window frames and Victorian Ash beams, and vibrant green carpet on the first floor to evoke the adjoining garden and complement the otherwise neutral and natural palette. 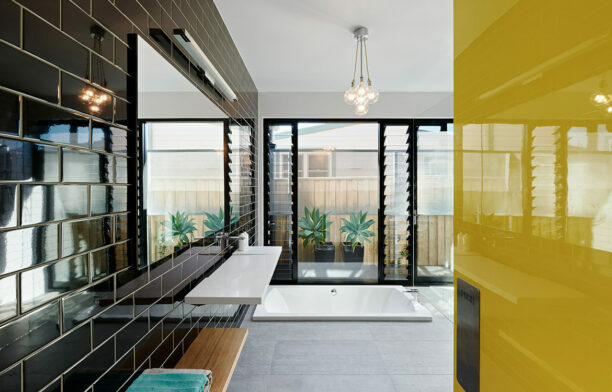 Clerestory windows maintain privacy along the laneway. 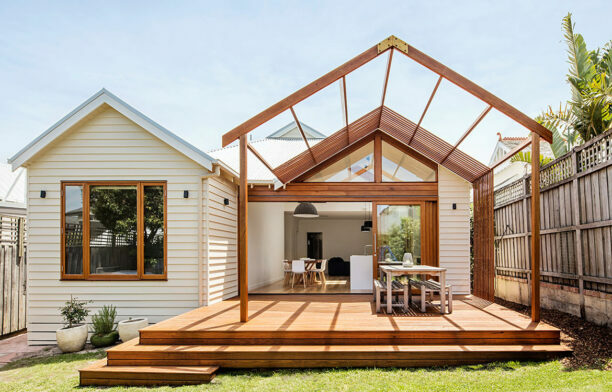 We think you might also like Modscape, designing prefabricated sustainable homes in Melbourne.